Susan's Craft Room: RemARKably Creative Blog Tour: Celebrate NEW Products! RemARKably Creative Blog Tour: Celebrate NEW Products! 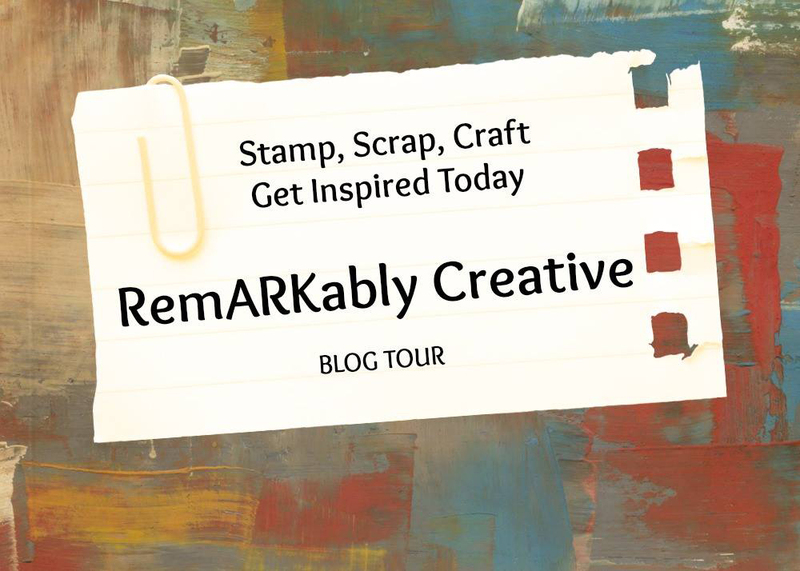 Welcome to this month's RemARKably Creative Blog Tour! I'm honored to be a part of this blog tour again this month! It is so much fun to see all the great ideas the fellow Stampin' Up! bloggers post on the tour. Such great inspiration! This month we are featuring new products that could only be ordered beginning June 1. This new Stampin' Up! catalog has so many samples that are on my list to copy or use for inspiration! One of the samples that I really like is the gift bag on page 81. I love the Celebration Time shaker part of it! I decided to recreate it and put it on a note card. Be sure to scroll all the way to the bottom of this post for the list of supplies used. Although it is large enough to use on a greeting card, this cute card would be great to use to accompany a birthday or baby gift. Check out that super sweet itty bitty bow! You make it with the Celebration Thinlits Dies! Super fast & easy! The Shaker part of the card is also made with the Celebration Thinlits Dies. There are a ton of options for using these dies! Inside the shaker, I wanted to add a little color. In addition to some silver and gold sequins from the Metallic Sequin Assortment, I used the 1/8" Circle Handheld Punch to punch some little circles from Pink Pirouette & Pool Party Cardstock. The Foam Adhesive Strips made it easy to put the shaker card together. I just love the new Mini Sequin Trim! When I cut a piece off, I didn't loose sequins at the cut ends. Awesome! 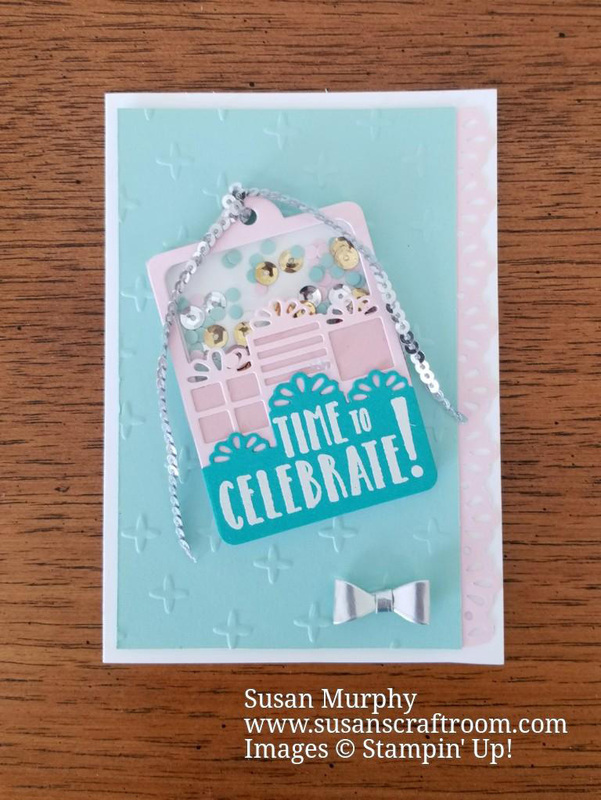 The new Decorative Ribbon Border punch makes it super quick & easy to make a nice trim on your card. A nice feature is that it is 2-sided. If you turn the punch piece around, it has a nice scallop edge. As you continue through the rest of the Blog Tour I know you are going to love all the projects made with new products from the 2017-2018 Annual Catalog! You can click on a name to take you to the other participants in today's RemARKable Creative Blog Tour.